The UWS crossover truck tool box is a trusted storage solution because it features our patented lid design and enhanced aluminum construction. The lid is filled with a rigid foam that strengthens it against bending or warping, and it has a self opening mechanism for convenient operation. 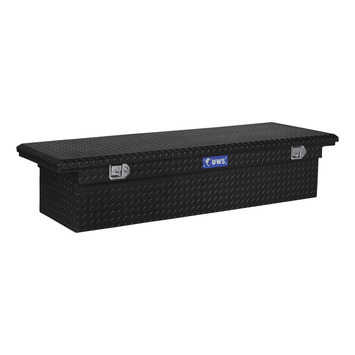 This truck tool box is also built with extra thick, one piece aluminum to be strong and highly resistant to corrosion. This particular model features a low profile lid with two stainless steel paddle lock lift handles.